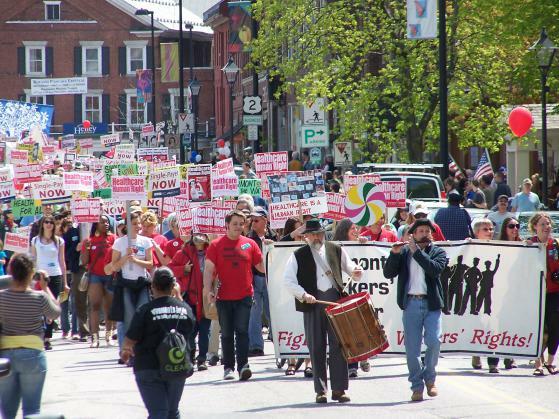 On May 1, thousands of people marched to the Vermont statehouse. 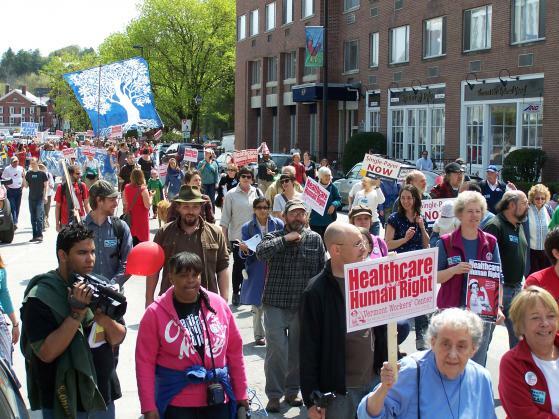 "If Vermont passes single-payer health care, I will meet with President Obama and say, 'If Vermont can do this, so can the nation,'" U.S. Senator Bernie Sanders told the marchers. In the second photo, a blind man uses a cane while he marches. 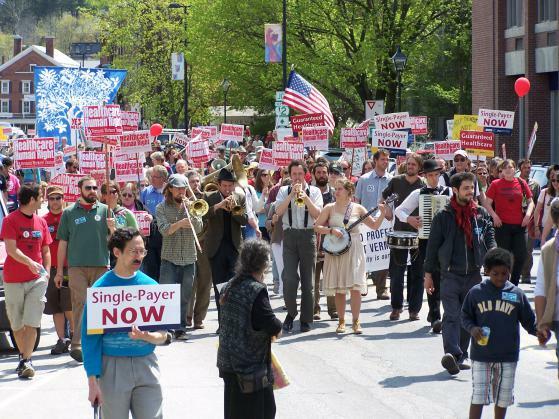 Four of the five Democrats who are running for governor, including senate president Peter Shumlin of Putney (a few miles from Brattleboro) were at the march. Vermont votes Democratic more than almost any other state.